We have carved a niche as one of the outstanding dry wall putty manufacturers and suppliers in India. The Wall Putty mainly comprises of white cement and imported polymer. 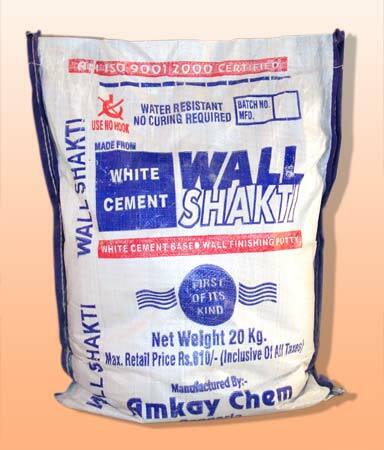 These are available in powdered form and are packed in HDPE bag with liner that contains 20 kg of wall putty. The wall Shakti wall putty is applied before the final paints so that the aftereffects of rains and other climatic conditions may not decrease the finish of the walls. These are highly durable and thus increase the life of the paints. These are also available in light shades as per the requirements of the customers. Our wall putty is accessible at the least market prices.